Developed by DACN for Windows, Loong is a free-to-play 3D online role-playing game (MMORPG) set in ancient China. Heavily based in Chinese mythology, Loong offers beautiful scenery and exciting combats whether you prefer PvE (player vs. environment) or PvP (player vs. player). Loong also offers epic PvP battles with up to 500 players fighting at the same time. PvE players will have hundreds of quests to solve, traveling to many different cities and areas, each with their own flare and history. Affected Zone Tactics (AZT) is a free to play MMO strategy where players control their own squad of soldiers in turn based combat against other real world players, using customized units and in game tactics players have to capture the map flags as they fight solo or with friends. 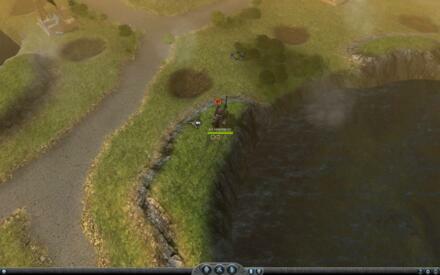 The engaging graphics and isometric top down viewpoint provides a real tactical feel to the game as players watch over as the Commander of their military forces in exciting coo-op battles. 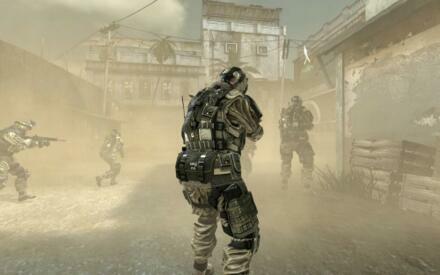 Mission Against Terror (MAT) is a free to play first person shooter (FPS) set in a fictional time not far from our own, pitting two teams against each other all around the world. From the male civilian with a vengeance to a war-torn female soldier with something to prove, characters from all walks of life come together to fight for a common goal. FUelled by a wide array of rea-world weaponry from practical assault rifles to massive gatling guns.Developed by Kingsoft for Windows. World of Warplanes is a free-to-play flight combat MMO, developed by Wargaming.net, set during World War II and dedicated to military aviation. Players will take the roles of expert combat planes pilots, participating to massive historical battles against other players from all over the world. The game gives players access to dozens of detailed warplanes, that will belong to three main classes: Fighters which struggle for air dominance in dogfights, defend allies and intercept hostile machines, Heavy fighters especialized in intercept enemy ground-attack planes, as well as battering mildly defended ground objects and Ground-attack planes, which aim at destroying ground targets while trying to survive fighter attacks. Each plane is different, since it has a different maneuverability, acceleration, shielding or speed. Alliance of Valiant Arms (abbreviated to A.V.A) is a free mmorpg First Person Shooter game. Developed by Redduck for Windows. A.V.A is based on a fictional war between the EU (European Union) and the NRF (Neo-Russian Federation). Gameplay is very similar to many other online FPS, weapons are bought using in-game currency in the store menu. From the store menu, purchases of an assortment of weapons, attachments, armor, helmets and skill upgrades can be made. All of these have a durability meter which lowers as they are used more in-game. Villagers and Heroes is a Free2Play Browser Fantasy MMO RPG game, developed by Mad Otter Games. Explore and discover the vast magical world of the Seven Realms as you carve an epic adventure seeking out information of the Legendary Four, the heroic founders whose footsteps you can only hope to follow in on your fantastic journey. This free to play fantasy role-playing game offers up a classic MMORPG experience with rich gameplay features from typical staples to twists that set it apart in the genre. Villages & Heroes lets players interact with thousands of other players from all across the world taking on the role of one of four different classes as they seek out challenges and begin their paths on becoming a Legend themselves. 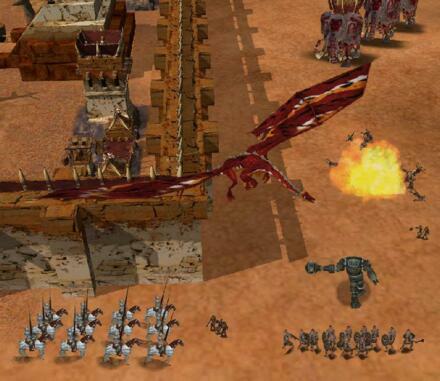 Therian Saga is a Browser F2P MMO RPG developeb by Virtys. Therian Saga is a free to play RPG with a difference, set in a fantasy world of adventure players will have the freedom to do what they wish, pursue their preferred vocations and experience exciting adventures in a newly discovered continent. Players can create their own bands of thieves, party of fighters, guild of crafters and more as they choose their place in the community to craft items, weapons and treasures for both themselves and other players. Developed by RUSOFTWARE Co. for internet browsers. Fragoria is a browser-based MMORPG where players start as a Traveler and complete quests for other characters in the game in a fully persistent world inhabited by other players and NPCs. As the game progresses, players specialize their character by picking sub-classes that are broad at first with the choices narrowing down into a more focused class. There are over 800+ quests to complete, several dungeons to crawl through with friends and there are also a handful of PvP games to take part in (ranging from simple 1 on 1 duels to full-scale wars with objectives). Fragoria has an in-depth pet system, an auction house, a mail system, and an extensive crafting system with 4 professions to choose from. Saga is persistent and played online in a massively-multiplayer environment. Every building you build, troop you buy, and piece of land you conquer remains with you as long as you play the game. That means every time you fight your friends, you won't have to rebuild your castle from scratch. It also means every time your buildings get damaged or your troops killed, they stay that way unless you repair or resurrect them. Troops gain experience over time, meaning that they move with you from battle to battle, improving their skills and finding exciting new armor and weapons to equip themselves with.